Superdry men’s High Flyers Hyper Classics t-shirt. 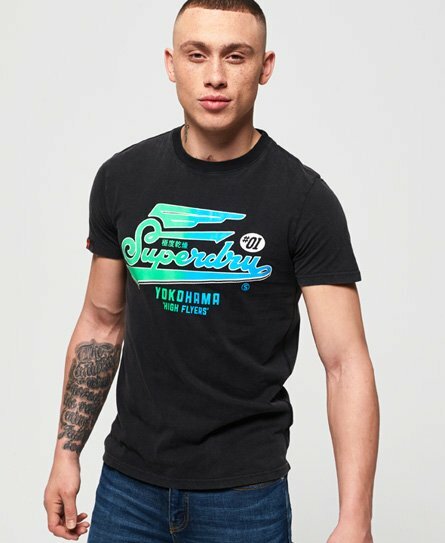 A cotton t-shirt that features an eye catching ombre Superdry logo across the chest. The crew neck t-shirt is completed with a Superdry logo tab on the sleeve.